All families can take advantage of a lifetime access to WeVillage. Simply pay our One-time Enrollment Fee and you’re all set! Not interested in the Enrollment Fee? You are welcome to pay a $20 Visitor Fee each time you stop in. 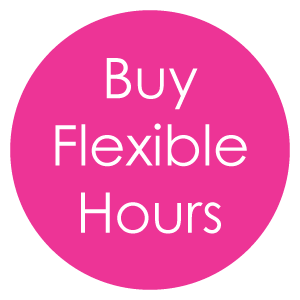 Daily Rate Hours are 8:00 am-5:00 pm with before & after care available at hourly rate. Hours of operation and prices vary upon location. Forget a diaper or socks? That's okay - we have diapers for $2 each and socks for $3 each (we're a shoe free facility - it's best for kids!). Didn't pack a meal? We've got you covered - if your child attends during meals they are $6/lunch and $8/dinner. Preschoolers need lots of stuff - that's why their enrollment also includes an annual Materials Fee of $100. Potty Training is hard work, but we're here to help! We charge $10 per visit for children who are 3 yrs and over that need extra support in this area, this charge applies to just hourly and daily care. WeDollars are prepaid funds, held in your account, to use towards goods and services. You can use your WeDollars to purchase everything except for full-time and monthly care packages. You must be enrolled to purchase WeDollars. WeDollars are non-refundable, non-transferable, and expire 1 year after purchase.